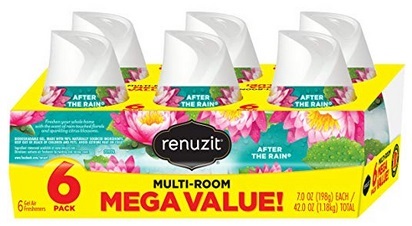 Amazon has the Renuzit Adjustable Air Freshener Gel, After The Rain, 7 Ounces (6 Count) priced at $5.52 use “Subscribe & Save” to get free shipping and save 5% to bring the price down to $5.25. Plus clip the 15% off coupon that’s on the product page to bring the price down to only $4.42 shipped to your door. Plus if you have 5 or more “Subscribe & Save” subscriptions a month you will save 15% instead of 5% and your total will be only $3.87 + Free shipping. Amazon Add-on Item: Fruit of the Loom Boys’ Cotton White T Shirt (5-Pack) Only $5.35! Miss Rabbit, Miss Issippi, & More Girls Clothing Up To 65% Off From Zulily!